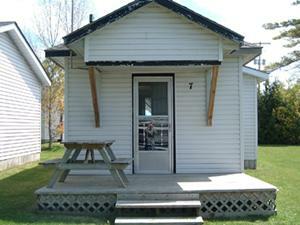 The winter rental for Cottage #9 and #10 is available from Nov. 1,2014. You can rent by weekly, monthly and yearly. Please call for details at 705-324-6610. Cottages 1, 2, and 3 are two bedroom cottages, each containing two double beds to sleep 4 people comfortably and are wheelchair accessible. 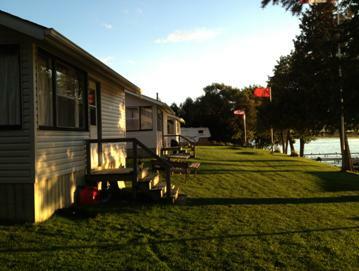 These three cottages are waterfront cottages with open beautiful views of Sturgeon Lake. Cottage 4 is a three bedroom cottage containing one double bed and four twin beds to sleep 6 people comfortably. 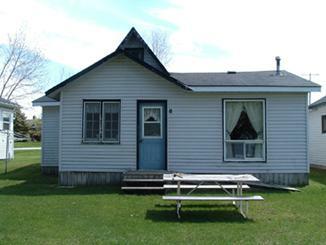 This cottage is one of four direct waterfront cottages with a beautiful view of Sturgeon Lake. Cottage 5 is a two bedroom cottage containing one double bed and two twin beds to sleep 4 people comfortably. Cottage 6 is a one bedroom cottage containing one double bed. This cottage is suited to sleep 2 people comfortably. Cottage 7 is a one bedroom cottage containing one double bed. This cottage is suited to sleep 2 people comfortably. Cottage 8 is a three bedroom cottage with a loft, containing two twin beds, one queen sized bed, and two more twin beds in the loft to sleep 6 people comfortably. This cottage is wheelchair accessible (with the exception of the loft). 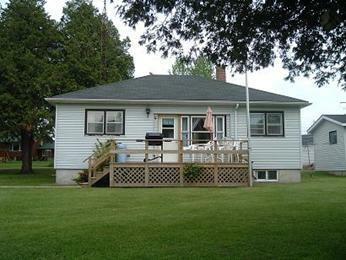 Cottage 9 is a large three bedroom cottage. 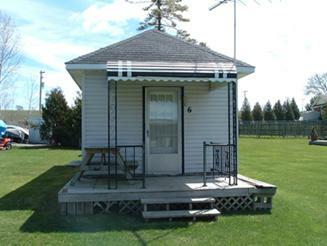 This cottage contains one queen sized bed, three double beds, and threetwin sized beds. This cottage has large kitchen, dining area, and living room areas and is suited to sleep 11 people comfortably. Cottage 10 is an air-conditioned house with three bedrooms, large living area, large kitchen area and large porch facing the lake. There are four queen sized beds and one sofa bed in the house to sleep 10 people. Here is your Ideal Location Destination. Our reasonable weekend and weekly cottage rental rates will have you relaxing as you should in our cottages of various sizes, all complete with an array of items to make you feel at home. Sit waterside enjoying the breathtaking view or rent a boat for some fishing or exploring. We have fun for everyone. Each cottage has a sofa bed for extra guests. Be sure to bring your own bedsheets, blanket cover and pillow cover with you. 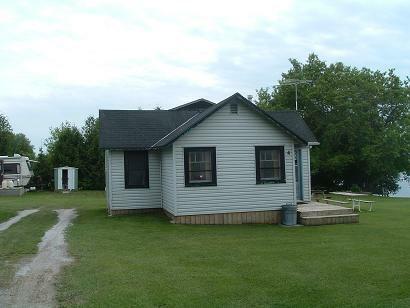 Make the most of your vacation at Lunge Haven Cottages in Lindsay, ON by reading and understanding some of our policies, which apply to cottage rentals. Quoted prices are in Canadian Dollars. 10% discount for returning guests – week long stay required and must be within the same season. Reservation will be confirmed upon receipt of deposit. Deposits are refundable (less $75.00 handling) with 8 weeks notice prior to reservation dates. Check-in registration form must be completed upon arrival. Key is provided when deposit is paid. Deposit will be returned at time of check-out. Payment for your cottage is due upon arrival. 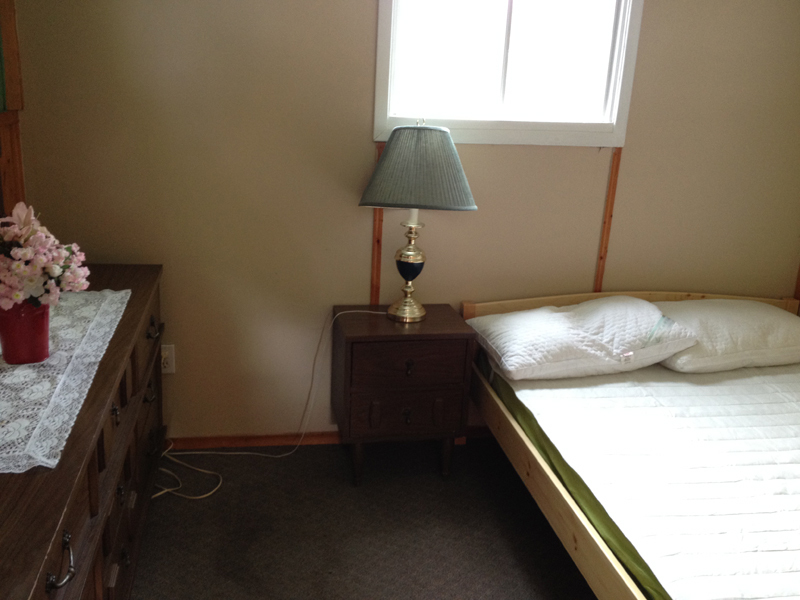 We welcome your inspection of our facilities and your cottage prior to payment. 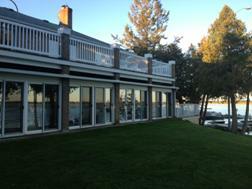 Personal cheques are accepted for deposit payable to: Lunge Haven Cottages and Boating Club. Cheques will only be accepted for full dues by prior arrangement. A $25.00 charge is applicable on any NSF cheque. Free use of Boat Launch. Free use of Fish Cleaning Hut. One extra person may be accommodated at an additional charge of $25 per day/$125 per week. No exceptions and extra persons include babies and children. Please have your visitors register with the office on the day of their arrival. We do charge visitors $10.00 per person/per day and allow overnight visitors only if cottage capacity permits ($25.00 per person). Visitors remaining in the Resort after 10pm are considered to be staying overnight. We welcome your four legged friends though there is a $20 per day additional charge for the extra clean-up. Fill out the form on the left side of the site and send it to us. We will reply to you as soon as we can. Click here to view the details of Cottage Rules. Copyright © Lunge Haven Cottages & Boating Club, 2014. All rights reserved.